Mrs. E over at Easy Street has done it again. She gave me an award. This time it is a PRINCESS award. 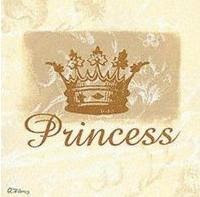 See there is somebody out there besides me who believes that I am a Princess. Thanks for the award Mrs. E. I am a book freak. Can't find me in a store? Look in the books. Dream day activity? A day in the bookstore or excessive amounts of time on amazon.com, barnes and noble.com or even half.com. I love to read and most everyone who knows me knows that reading is my first choice of a leisure activity. I have been a reader for a lifetime. It came easy for me as a youngster and books let me go places I would never get to go. The other bonus: if I had a book in my hand my brother left me alone. ALONE. He hated to read or anything to do with reading. I can remember staying up late reading when I was a teenager and getting up the next day to read. Oh wait I still do that. 1. Name an author you love. Lauraine Snelling. She writes christian fiction. Mainly historical fiction. She also wrote my most favorite books in the whole wide world....I have read this series all the way through at least 3 times. The Red River of the North series. She has at least 4 series that branch off from the family that the book is centered around. The Bjorklund Family. The series begins in Norway where a family has been saving to send their people to America. 2 brothers and their wives embark on this journey. Once arriving in America, they travel west to the Dakotas to establish farmsteads. It just goes from there....both brothers die the first winter and the women (as always) are left to establish the homesteads. It's funny that Mrs. E gave me this award this week because last night I thinking that I was missing Ingeborg and that a reread would help me thru the winter. 2. Name an author who highlights your personality. Probably it's more of a character than an author. But the author created the character, sooo cart or horse? Anyway, it's Lauraine Snelling's main character, Ingeborg Bjorklund who is headstrong, opinionated and kind-hearted. She wants to do the right thing for her family and her community but when darkness threatens to overtake her, she reaches for her bible. 3. Name some books you love. To Kill A Mockingbird--if you haven't read this, take the time to put this in your book stack. Gone With the Wind, Kite Runner, Friday Night Knitting Club, Cane River, As the Crow Flies, The Elm Creek Quilt Series, anything by Jeffrey Archer, The Good Earth, The Geometry of Sisters, A Tree Grows in Brooklyn, The Little House on the Prairie and The Long Winter, The Mixed-Up Files of Mrs. Basil E. Frankwieler, Otis Spofford, Ralph S. Mouse, and The Horse Whisperer. On a side note--I read around 50-60 books a year--usually 30+ during the summer. And I know this because I write down in a journal each book I read. I have some gaps in the journal but for the most part I have done this since 1996. I started the journaling after I kept checking out books I had already read. 4. Something that always excites you. Sunshine, sunshine and more sunshine. I love sunshine--and I am not just saying that because it has been days since we've seen the sun. I love 95 degree days......with sunshine. Lying. Just tell the freakin' truth already. Quit the sugar coat and spill it. And now I'm passing this award on. All they have to do is nab the Princess button above, post answers to the questions above, and pass the award on. Thanks again, Mrs. E and I am off to read my book, just sayin'. Wow! 50-60 per summer I wish I had that much ambition. I only read short stories (children's books) and only find time around midnight to get my books in! I hope this changes when the children get older. Thanks! I just finished reading Kristin Hannah's Firefly Lane. Cried, cried, and cried some more. I thought it was going to be a good story about friendship... It was, but it was so much more! BR--that is probably one of my favorite Kristin Hannah books! Have you read anything by Susan Wiggs? I really enjoy her, also.